it worked. people came to the session. people asked questions at the end. people followed us out into the hallway to keep talking to us. i’m not going to go into how awesome it was to present with Char Booth, Nate Hill, and Michael Porter, but, wow, possibly my favouritest panel ever. here’s the full slidedeck for perusing. 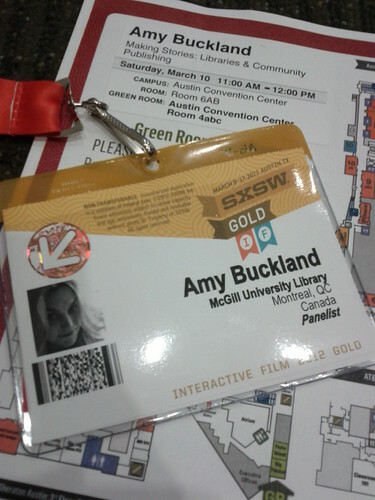 i challenge all of you out there in libraryland to submit a proposal to SXSWi next year.